Luqaa, aka Luca Quacquarella is an Italian ‘Maestro’ luthier based in Singapore. 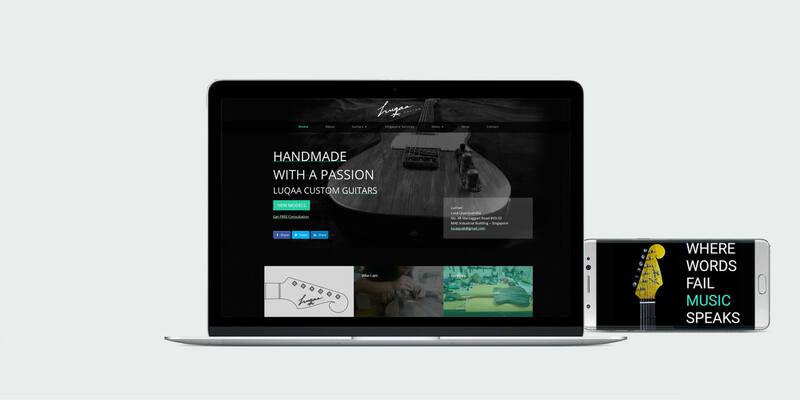 I have designed and built Luqaa branding and website exploring a variety of ideas and directions, with visual examples. Once me and the client agreed on a style, I worked on a set of concepts, refining based on client feedback. Using the software Sketch, I designed wireframes and flow charts and defined the user flow, the skeleton of the website – the structure. An important step in designing any product is making sure it feels right. Through interactive prototypes, I could specific actions and make sure they behave as the user and the client would expect. I finally developed the website in WordPress after customising the theme Divi. An endless possibilities of customisation to your desired specifications, while each guitar sets to achieve the highest form of beauty with most optimum performances.